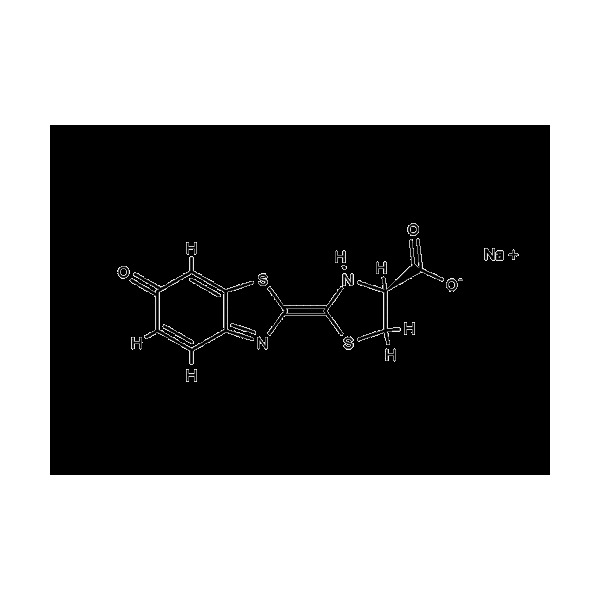 D-Luciferin, water soluble sodium salt, purity >99% (HPLC), tested for biological activity and sensitivity using a luciferase assay. Casolo V, Petrussa E, Krajnáková J, Macrì F, Vianello A. (2005) "Involvement of the mitochondrial K(+)ATP channel in H2O2- or NO-induced programmed death of soybean suspension cell cultures. "J Exp Bot. 56(413):997-1006.